If you’re going to be heading out on your bike, you’ve got to stay safe. This is the most important thing to remember when you’re out riding – this is no toy that you’re taking for a spin. You can get into serious trouble if you don’t know what you’re doing on your motorcycle. That’s why it’s in your best interest to take the top safety tips and apply them to your riding life. 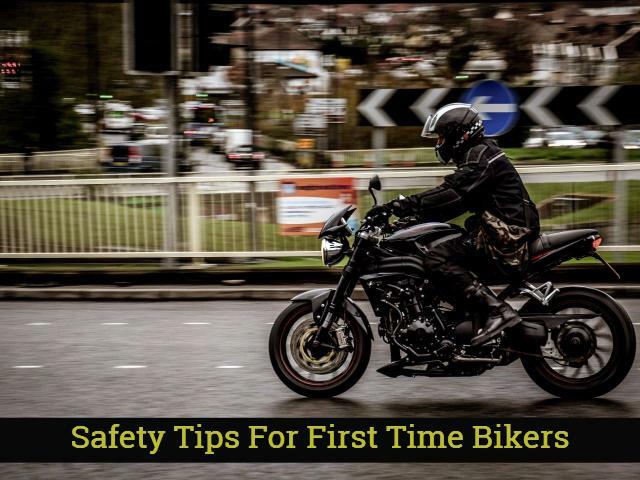 Keep reading down below to learn more about the top safety tips that you’ve got to abide by if you’re a first-time biker. Of course, the first thing that you’ve got to think about as a first-time biker is what kind of bike you’re going to be purchasing. Now, you need to be honest with yourself right now. What is your skill level like? How comfortable do you feel riding a motorcycle? If you don’t feel that confident, then don’t go for the huge motorcycles that require a lot of skill to maneuver. If you do that, then you might just find yourself in a pretty tricky situation out on the road. Go for the bike that works for your skill level and that you can actually drive properly. It’s been shown time and time again that having antilock brakes on your bike is a lifesaver. You are going to be much safer when you have these brakes. ABS can seriously help you keep control of your motorcycle should you need to avoid a collision. Locking up the brakes is one of the big causes of crashes on the road. Make sure that the motorcycle you are investing in has antilock brakes if you want to stay extra safe on the road. Of course, if you want to stay safe, you’ve got to know what you’re doing on the road. And it’s the sad case that so many motorcycle riders don’t know what they’re doing and haven’t taken the time to learn how to be safe on the road. Make sure to take a physical or virtual bike course to learn the top safety methods and how to best drive on the road. This is going to ensure that you keep yourself safe and promote the safety of everyone else who is driving around you. Wearing a helmet is something that every single motorcycle driver should be doing. Without a helmet, you are putting yourself at risk of serious injury or death. That helmet is going to protect your head, which is the most important part of your body to protect when driving on a motorcycle. It’s been proven time and time again that those riders who are wearing helmets during crashes are much better off in the end than those riders without helmets. You’re not going to need a bike lawyer on your side if you have your helmet on! You should never be wearing just some jeans and a t-shirt when you go out on your bike. That’s just asking for disaster. Wherever you have exposed skin, you should be wearing the right leather gear in order to stop you from hurting yourself too much. Sure, when you get into some kind of accident on a bike, you are going to get hurt. But when you wear the right gear on your body, you are going to be much more protected than you would be otherwise. Make sure to speak with the representative at the bike shop to determine the right gear to get. It’s been shown that those drivers who drive defensively are much safer than those who drive recklessly. Sure, it might be fun to speed down the highway or that country road and not give a care in the world. However, you are definitely going to give a care in the world whenever you get into an accident because of that. Always expect the unexpected and you are going to save yourself from serious injuries or worse. Driving when there’s a huge storm coming down or whenever there is snow or ice on the road is something you should never be doing. When the road is more slippery than normal, you are going to be putting your life in more danger. It’s a much better idea for you to wait out the storm or the harsh weather and don’t get onto the roads. No matter why you think you need to go out during this weather, it sure can wait until it’s safer to get onto the road on your bike. One of the biggest tips you can get when you’re a first-time biker is to be aware of what’s around you. So many bikers don’t stay aware of what’s around them, which is why so many crashes happen. Be aware of any road hazards that might be in front of you when riding, like animals or construction sites. Whenever you go out onto the road, you want to make sure that everything is good with your bike. Make sure to go through a thorough inspection of your bike before riding. If there are any loose parts or if anything is leaking, then don’t start riding! Be sure to get that checked out before you head out onto the road. And of course, if you want your bike to be safe on the road, you’ve got to get it serviced regularly. 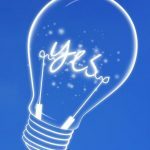 This is going to ensure that you are as safe as possible and any sort of problem is fixed ASAP. There you have it! Getting out there on your bike for the first time is an exhilarating and scary thing. However, make sure that you have these safety tips in your mind and you will be safe and sound out there!